Minty Boost On A Hike « Adafruit Industries – Makers, hackers, artists, designers and engineers! They do make higher capacity AA batteries, so you could improve on the performance. What I found is that the normal Duracell Batteries got extremely hot while they charge my phone, while the eneloop batteries got warm but were ok to touch. With the unit 1.2 oz & (2) AA batteries 1.8 oz. the entire unit only weighs in at 3 oz.!! With an extra set of batteries still brings you in under 5 oz. So far this is the lightest weight option that I have found available. 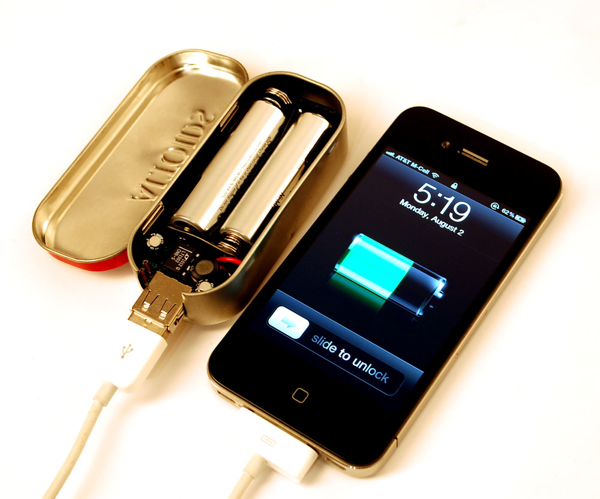 In addition, using rechargeable batteries that can be recharged up to 1500 times, saves money on batteries. You could put a charger in your bounce box if you really wanted to, but I’m thinking the rechargeables might be a better option for section hiking.